Product prices and availability are accurate as of 2019-04-20 08:22:32 EDT and are subject to change. Any price and availability information displayed on http://www.amazon.com/ at the time of purchase will apply to the purchase of this product. To retexturize. 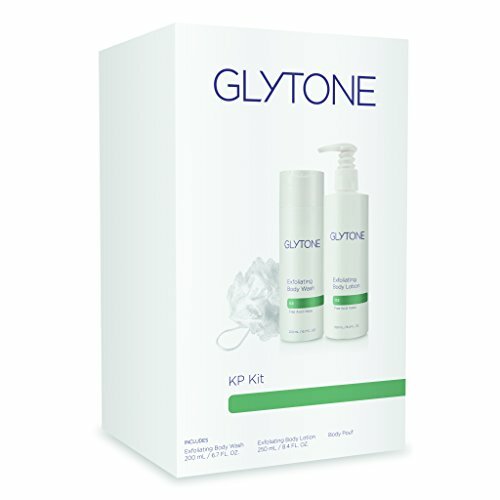 The 2-step system for keratosis pilaris incorporates intensive glycolic acid levels to rid the skin of unsightly bumps and reveal smooth supple skin. Kit contains Body Lotion + Exfoliating Body Wash + Shower Pouf. Exfoliating Body Wash - Squeeze an ample amount onto a bath pouf or wet washcloth and massage over the entire body, working into a rich lather. Use once a day or as directed by your physician. Concentrate on areas of the body that are the roughest and driest. Rinse thoroughly. Exfoliating Body Lotion - Apply daily to arms, back of hands, legs and other parts of the body that require special attention. 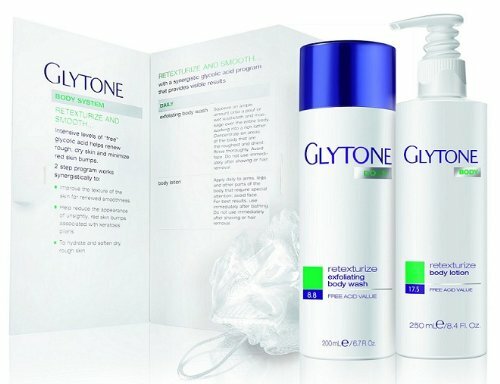 Not recommended for the face, or immediately after shaving or hair removal.Reduce the appearance of rough skin and scaly plaques.